The outer sole has great grips. Mid-cut hiking with soft ankle support. Our rental mid-cut all weather hiking boot suited for Mt.Fuji or Yakushima Trip. The shoes highly supportive and soft fit to prevent from twisting your ankle. This shoes is made with Gore-Tex fabrics that means to keep inside of shoes quite comfortable and dry, it greatly helps you especially in Mt.Fuji or Yakushima trip because it rains a lot during your trip.The outer sole is made with Trail Gripper, that give you an amazing amount of grips while you are on terrain such as wet rocks. 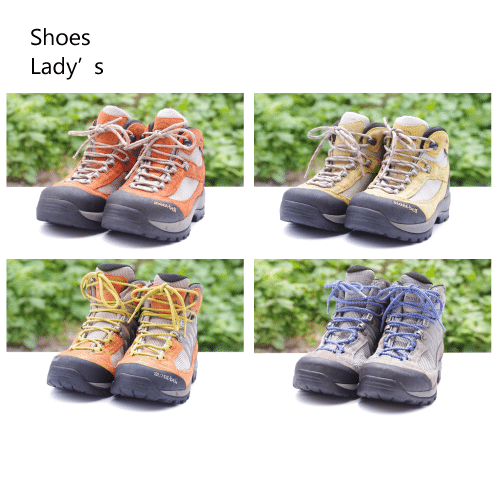 These shoes are highly satisfied with many customers including foreign and Japanese, even if you are not used to mountaineering, this will be your great help to complete your mission. Various sizes available for Men and Women. 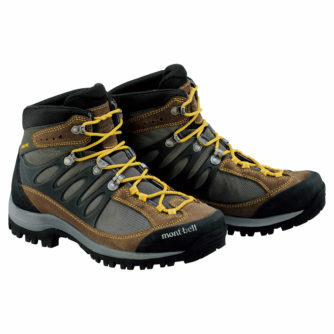 Hiking shoes size conversion is offered by our rental shoes brand “Mont-Bell”. If you are not familiar with Japanese shoe size, or If you have never worn Japanese shoes, please try Japanese shoes first, then find your shoes size in Japanese CM. We do not accept any comment or any opinion about this shoes size conversion because this is an official conversion offered by Mont-Bell. Add 0.5cm(JPN) to your normal shoe size! Find out your JPN shoe size by checking conversion. 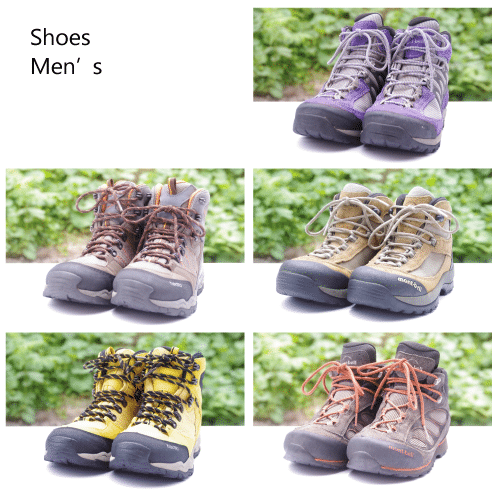 Add extra 0.5cm(JPN) to your normal shoe size, that will be your hiking shoes size to rent. If you normally wear 41 for EUR size, choose choose "26cm" in JPN size to rent.